On Friday, presidential candidate Donald Trump suggested he “probably” got Megyn Kelly to take her “sudden” vacation this week after the controversial GOP debate. ** Megyn Kelly announced an immediate vacation last week after the GOP debate. The conspiracy theories about Megyn Kelly’s vacation rank up there with UFO’s, the moon landing and Elvis being alive. Megyn is on a pre-planned, annual summer vacation with her family, which is much deserved. To imply otherwise as Donald Trump and his campaign operatives have is not only wildly irresponsible, but downright bizarre. 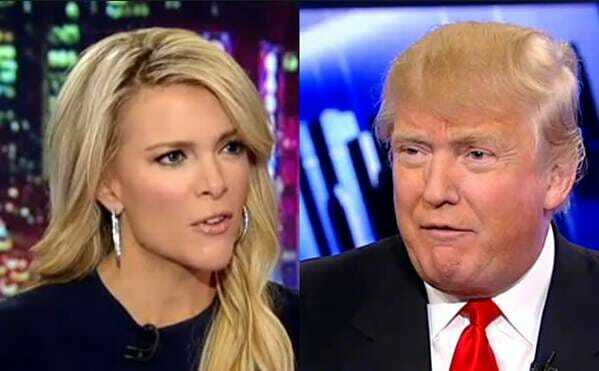 Perhaps Mr. Trump thinks it’s advantageous to his poll numbers to keep talking about Megyn, but that doesn’t change the fact that Roger Ailes has fully supported her and her tough journalistic questioning since day one and is thrilled with the added exposure from the debate which resulted in even higher ratings of The Kelly File this week.